See some of the Hardware manufacturers below. 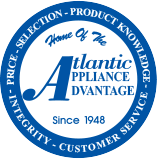 Click the link to view their catalog of Items all available at Appliance Hardware. Contact Us with any questions. Anne at Home - designers and manufacturers of decorative hardware and accessories. Over 1200 unique and original designs in 38 finishes. Our products are the culmination of ideas gathered from industry buyers, artistic designers, home decorators and customers. Turnsyle Designs is established as one of the world's foremost producers of designer architectural hardware. Turnstyle Designers produce detail, and the attention to detail follows through in every aspect of their business from quality control in production to servicing their customers' needs. Emtek is dedicated to bringing interesting, well made hardware back into American homes. We strive to provide a broad range of products that provide both superior performance and compelling design. The Emtek product line includes door hardware, cabinet hardware, door locks, knobs, levers, entry sets, bath hardware, door accessories, multi point locks. Longleaf Collection is a made-in-America manufacturer of door hardware and bath accessories. Located in Aberdeen, North Carolina, the company’s products include latches, locks, deadbolts, multipoint trim and mortise components. The Longleaf Collection conveys distinctive design, combining the natural properties of the hardware with its sculptured sense and precision-engineered properties. Our mission at Modern Objects is to be an integral part of the process of creating the ultimate comfort zone; to provide a positive experience, which stimulates the senses for everyone who encounters our designs. Notting Hill Decorative Hardware creates distinctive, high-end decorative cabinet hardware. Our cabinet knobs and handles are hand-cast of solid fine pewter and bronze with a variety of finishes. Notting Hill's decorative kitchen hardware features classic designs with exceptional detail and craftsmanship. Our collections offer decorative knobs, pulls, bin pulls, hinge plates, cabinet backplates, and appliance pulls. Hand-cast and finished at our fine arts foundry using old-world methods. Sietto is a company that designs and manufactures handmade glass decorative hardware. We hand cut pieces of glass, and then fuse them together in a kiln, to create a truly unique product. Utilizing a magnificent array of colors, we create items unlike anything you have ever seen.